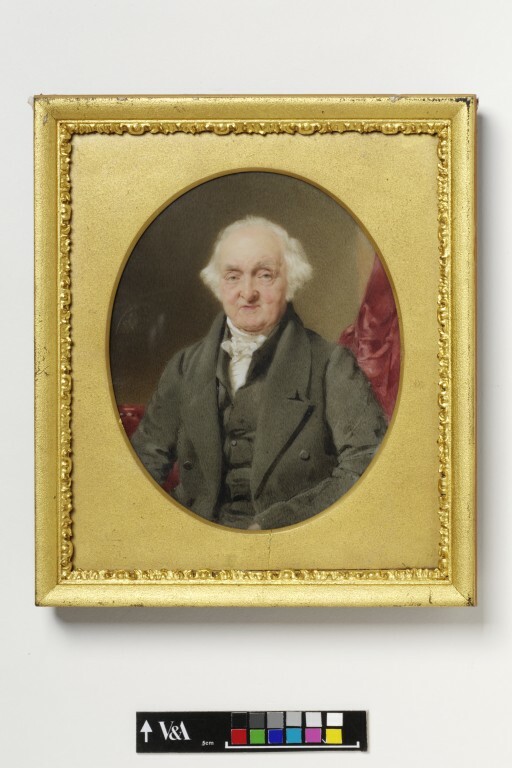 Thomas Heathfield Carrick first worked as a chemist in Carlisle, but taught himself miniature painting. He moved to London in 1836 and exhibited his first works at the Royal Academy in 1841. These were miniatures painted on marble, as is this example. For these seven works he was awarded a medal for 'inventing' the painting of miniatures on marble. He was not, however, the first to do so. Jean François Marie Huet Villiers painted on alabaster and marble as well as the traditional ivory. Born in Paris, he came to England in the early 19th century. 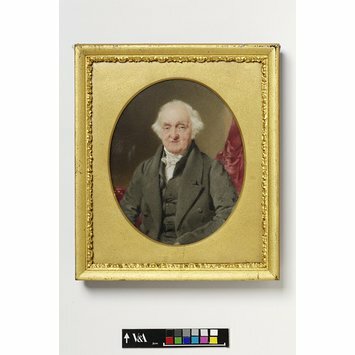 Portrait miniature of an unknown elderly man, watercolour on marble by Thomas Heathfield Carrick (1802-1875).